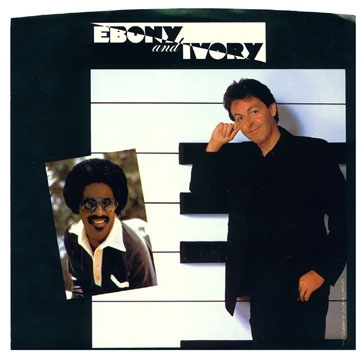 PAUL McCARTNEY & STEVIE WONDER Ebony & Ivory (1982 US wide centred demonstration sample vinyl 7" for the single release, featuring the same 3:41 stereo version on both sides, retail issue picture sleeve. THE RECORD IS IN NEAR MINT CONDITION! lote 2 puas / THE BEATLES ! !